Our product is not only the most realistic, it is also the lowest maintenance synthetic turf available. With its patented drainage technology, our lawns never require deodorizers or ammonia neutralizers to stay clean and fresh smelling. A lawn installed by Alpha Turf NW can be enjoyed everyday with maximum strength weed prevention, odor fighting drainage and compared to natural grass, never needs watering, mowing or fertilizers. 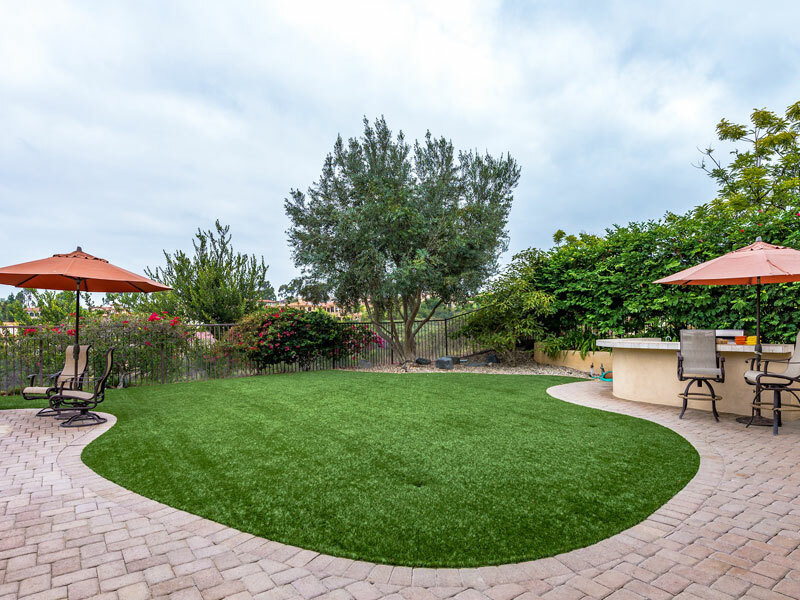 Our product is not your average synthetic grass. Our artificial turf is the closest alternative to natural grass, providing the most realistic look and feel with superior drainage. Our product’s superior drainage eliminates odor buildup caused by pet use, so your lawn will not only look great, it will be cleaner and fresher than real grass and competitor products. Lower maintenance means greater long term savings. In most cases, a beautiful artificial grass lawn from Alpha Turf NW costs less than your existing lawn. Over time, the Alpha Turf NW solution saves you thousands of dollars in maintenance and watering. Our artificial turf is is cleaner, greener and safer than real grass. Now you can enjoy the benefits of real grass without the hassle of seeding, sodding, watering, aerating, or mowing your artificial grass lawn! We provide you with professional installation services, which are performed by fully trained and licensed installers. This allows us to maintain a consistent, high level of quality. Our team of supervised installers is fully insured to protect your investment. We have the latest equipment and an outstanding warranty to ensure that your synthetic lawn always looks its best. Maintaining a perfect looking, natural lawn is hard work and expensive. That’s why homeowners are switching to our artificial turf landscaping – the easy way to have a great looking lawn, 365 days a year. 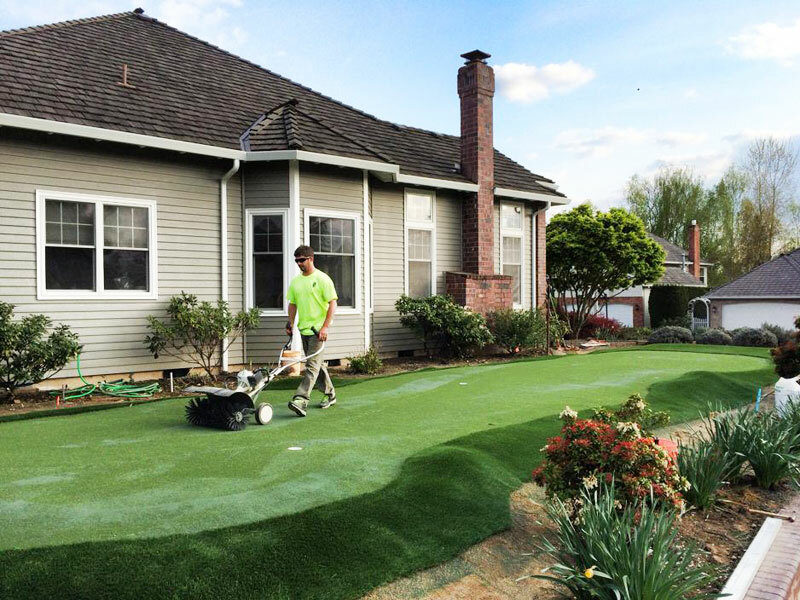 Alpha Turf NW solves the toughest lawn maintenance problems, such as gopher and rodent damage, weeds, dry or dead grass, spotty lawns, pet damaged lawns and more. Excellent job done on time and exactly as we asked. We couldn’t be happier! Jaime answered all my questions and was super helpful and their staff is professional and friendly. We would recommend Alpha Turf NW to anyone looking to have awesome grass. A perfect lawn year round! I can’t even tell you how many of my neighbors have raved about how good it looks and want to do it in their own yards. We are very satisfied customers with the best lawn in the neighborhood. We highly recommend Alpha Turf NW! Kyle and his crew did an outstanding job. The yard looks 100% better and our animals do not bring in mud anymore! They did an excellent job of putting down the turf, precise in every detail. Would highly recommend Alpha Turf NW. Thank you so much!